Rebel Melanie Elizabeth Wilson[note 1] (born 2 March 1980) is an Australian actress, writer, and producer. After graduating from the Australian Theatre for Young People in 2003, she began appearing as Toula on the Special Broadcasting Service (SBS) comedy series Pizza and the sketch comedy series The Wedge. In 2008, Wilson wrote, produced and starred in the musical comedy series Bogan Pride. The following year, she won the Tropfest best actress award for her role in Bargain and made a guest appearance in City Homicide. Shortly after moving to the United States, Wilson was cast as Brynn in the feature film Bridesmaids. Wilson also appeared in A Few Best Men, What to Expect When You're Expecting and Struck by Lightning, leading Variety to name her one of their "Top Ten Comics to Watch for 2011". She also appeared as Becky in Bachelorette and starred in the musical comedy Pitch Perfect film series as Fat Amy, a role that earned her several award nominations and wins, including the MTV Best Breakthrough Performance Award and a Teen Choice Award for Choice Movie Actress. 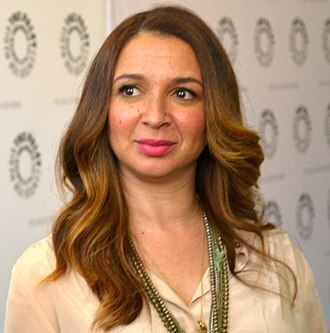 She has also created and starred in Super Fun Night, a television comedy that aired for one season on ABC. Wilson was born on 2 March 1980 in Sydney, New South Wales, Australia. Her mother is a professional dog handler. Wilson grew up in the suburbs of Kenthurst, Parramatta and Castle Hill. She attended Tara Anglican School for Girls. She completed her Higher School Certificate in 1997, including second place in the state in food technology. Wilson has three siblings: sisters Liberty and Annaleise (who uses the name "Annachi") and a brother, who uses the name "Ryot". Liberty and Ryot appeared on the first season of The Amazing Race Australia in 2011, where they were the first team eliminated. Wilson has stated that her great-aunt was Lillian Bounds, who was married to Walt Disney until his death in 1966. Despite Wilson standing by this belief in court, it continues to be disputed by genealogist Dale Sheldon. Wilson's first career choice was mathematics. She told The Sydney Morning Herald, "I was very academic at high school and was always good with numbers." She attended the University of New South Wales, graduating in 2009 with Bachelor of Arts (Theatre and Performance Studies) and Bachelor of Laws degrees. A former Rotary International Youth Ambassador for Australia, she was based in South Africa for one year, where she contracted malaria. She has spoken of malaria-induced hallucinations, where she saw herself as an actress who had won an Oscar, convincing her to pursue an acting career. Wilson studied at the Australian Theatre for Young People (ATYP). In 2003 she moved to New York after winning the ATYP International scholarship, which was funded by Nicole Kidman. While she was in New York, Wilson trained with The Second City. She appeared with the Sydney Theatre Company and performed at the Melbourne International Comedy Festival. She first came to the public's attention in 2002 with her stage musical The Westie Monologues, which she wrote, starred in and produced in Sydney. Her follow-up stage productions, which she wrote, produced and starred in include Spunks and Confessions of an Exchange Student. In Australia, Wilson is most known for her roles as Toula on the SBS comedy series Pizza and as various characters including Lucy, Fat Mandi and Karla Bangs on the sketch comedy series The Wedge. She played an Australian Idol mad schoolgirl in a series of Telstra advertisements shown during Australian Idol from 2004 to 2005. She also had roles in the feature films Fat Pizza and Ghost Rider. In 2008, Wilson created, wrote, produced and starred in the musical comedy series Bogan Pride on SBS One and also starred in the improvisational Nine Network series Monster House. In 2009 Wilson won the Tropfest Best Actress award for her role in the film Bargain. She has made appearances on the improvisational comedy show Thank God You're Here and the comedy game show Talkin' 'Bout Your Generation. She performed stand-up on the television special The Breast Darn Show In Town and guest starred in the Seven Network drama City Homicide and performed improv at the Upright Citizens Brigade in Los Angeles. After moving to the United States, Wilson signed to talent and literary agents William Morris Endeavor. Wilson's next film role came in the Judd Apatow film, Bridesmaids, in which she played Brynn, the sister of Matt Lucas' character. The role was written especially for her. Wilson then appeared in the CBS sitcom Rules of Engagement and on the Comedy Central series, Workaholics. She co-hosted the 2010 ARIA Music Awards and performed at the inaugural Variety’s Power of Comedy event in Los Angeles with Lucas and Russell Brand. In early 2011, Wilson filmed A Few Best Men at Fox Studios Australia. She also filmed a role in Small Apartments. Wilson was named one of Variety magazine's "Top Ten Comics to Watch for 2011". In 2012, Wilson had a role in the ensemble comedy What to Expect When You're Expecting, as Janice, and co-starred in the indie film Struck By Lightning. On 19 August 2011, Borys Kit of The Hollywood Reporter reported that Wilson had replaced Casey Wilson in Bachelorette. In 2012, Wilson voiced a character in Ice Age: Continental Drift and played Fat Amy in Pitch Perfect. For the latter role, she received critical acclaim and earned various award nominations, including Best Supporting Actress from the San Diego Film Critics Society and Best Actress in a Comedy from the Broadcast Film Critics Association. She won the MTV Movie Award for Best Actor in a Movie and shared the Best Musical Moment award with her Pitch Perfect co-stars. Wilson was also nominated for MTV Movie Award for Best Performance. Wilson later won the Choice Movie Actress: Comedy award for Pitch Perfect at the 2013 Teen Choice Awards. She had also been nominated for Choice Comedian at the 2013 Teen Choice Awards. In January 2012, Michael Ausiello of TVLine announced that Wilson would be writing and starring in Super Fun Night, a comedy that follows three friends on a quest to have fun every Friday night. The pilot was picked up by CBS and Conan O'Brien became one of the executive producers. The pilot was later turned down by CBS, but the ABC network picked up the project. A series was ordered and the show began broadcasting on 2 October 2013. 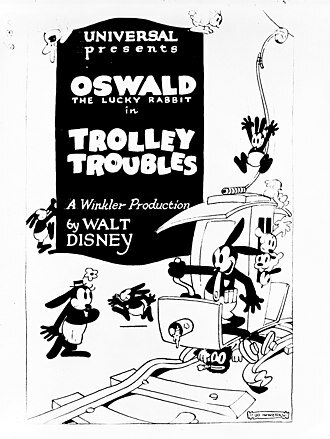 The series was cancelled after one season. Wilson played Robin Peck in Michael Bay's Pain & Gain (2013). She hosted the 2013 MTV Movie Awards on 14 April 2013. In March 2014, the American satellite television network Dish Network launched a marketing campaign for its Hopper DVR featuring Wilson as the voice of the eponymous computer animated kangaroo. Wilson reprised her role in the sequels Pitch Perfect 2 (2015) and Pitch Perfect 3 (2017). She also made a cameo in the television comedy Pompidou. Wilson joined the voice cast for Kung Fu Panda 3; however, in September 2015, she was replaced with Kate Hudson. Wilson next appeared in the ensemble comedy How to Be Single, released in February 2016. Nigel M Smith of The Guardian wrote "Wilson is the standout, nailing every pratfall she's dealt, but How to Be Single doesn't make strong use of her character". Wilson also appeared in the action comedy Grimsby. On 14 February 2016, Wilson presented the nominations for the Best Supporting Actor category at the 69th British Academy Film Awards. Wilson is one of sixty celebrities who make a cameo in Absolutely Fabulous: The Movie. Wilson appeared as Ursula, the sea witch, in an all-star concert version of The Little Mermaid at the Hollywood Bowl on 3 June, 4 June, and 6 June 2016. She made her West End debut in the musical Guys and Dolls in the role of Miss Adelaide from 28 June to 21 August 2016. She received positive reviews. Wilson played LeFou in a production of Beauty and the Beast: Live in Concert at the Hollywood Bowl on 25–26 May 2018. She also appeared on the cover of Vogue Australia for the first time. Wilson had her first solo lead in a major film in the comedy Isn't It Romantic, which was released in February 2019. Wilson will appear in a remake of Private Benjamin. She has also been cast in The Social Life alongside Amanda Seyfried. In August 2016, it was confirmed Wilson would star in a remake of the 1988 comedy film Dirty Rotten Scoundrels. The film, titled The Hustle, will also star Anne Hathaway, while Wilson is co-producing. She will appear in Taika Waititi's dark comedy drama Jojo Rabbit as Fraulein Rahm. Wilson will produce and star in a feature film adaptation of the Image Comics comic book Crowded. She will also star in the musical film Cats as Jennyanydots. In May 2015, Australian magazine Woman's Day published a story claiming that Wilson had been misleading about her birth name, age, and upbringing. Wilson had previously said in interviews that she was raised by dog-training "bogan" parents in the ghetto of Sydney, spent a year in Zimbabwe, climbed into a cage with a leopard, got caught in a shoot-out and then struck down by a severe strain of malaria from a mosquito in Mozambique where, from her intensive care bed, she envisioned herself winning an Oscar and rapping her acceptance speech. Her age was also incorrectly given as 29, which she would later admit was something she chose not to correct. Woman's Day called all of this into question and claimed that Wilson had, on the contrary, a "very normal, upper-middle-class upbringing" and "added a touch of 'fantasy' to the life she led before becoming a household name." The story was picked up by several other publications including The Sydney Morning Herald, People magazine, the Chicago Tribune and The Huffington Post. Most notably, Wilson's true birth date was confirmed through business records filed with the ASIC, which were obtained by The Sydney Morning Herald. On 16 May 2016, Wilson said print and online articles in Woman's Day, the Australian Women's Weekly, NW and OK! magazines made her out to be a serial liar. According to a defamation writ filed in the Supreme Court of Victoria, Wilson said her reputation and credit had suffered and she had been humiliated and embarrassed. She also sued for special damages, claiming she missed out on roles and other ones were terminated because of the articles. Wilson was represented by Matthew Collins QC. On 15 June 2017, a six-person jury ruled in Wilson's favour, finding that publisher Bauer Media Group had indeed wrongly painted the actress as a serial liar, and that publishing the articles was likely to have caused harm to her career. On 13 September 2017, Wilson was awarded A$4,500,000 in damages. Wilson's lawyer Richard Leder, said "Today's verdict is a significant record—it's about four times the highest previous verdict in a defamation case in Australia". In June 2017, Wilson tweeted "Any dollars I receive will go to charity, scholarships or invested into the Aussie film industry to provide jobs". Bauer Media appealed the amount of the damages. On 14 June 2018, Bauer Media won its appeal and the damages were reduced to $600,000. Wilson announced her intention to appeal the decision, and lodged an appeal with the High Court on 11 July 2018. The High Court refused the application on 16 November 2018. In July 2011, Wilson became a spokesperson for weight loss and nutrition company Jenny Craig in Australia. In January 2012, Wilson told The Daily Telegraph that she had lost 10 kilograms (22 lb) since signing up to the program. Wilson asserted that the producers of Pitch Perfect had refused to let her lose any more weight during filming, as her contract stated she must stay the same size. She said that once her film commitments were over, she would start her diet again to reach her target weight of 80 kilograms (180 lb). In February 2013, she confirmed that she had ended her agreement with Jenny Craig the previous year. 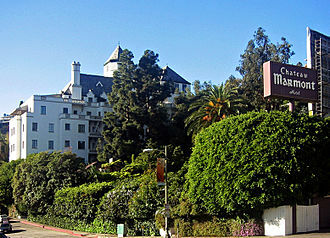 Wilson and her Bridesmaids co-star Matt Lucas lived together in West Hollywood, from September 2012 until 2015. In July 2015, Wilson stated her support for stricter American gun laws following the 2015 Lafayette shooting, stating, "I don't like getting political but America you really have to follow Australia's example re gun laws. I don't remember a mass shooting in Australia since they overhauled the gun laws. It seems like every week in America there's a shooting. I just want people to be safe, especially people that are doing one of my favorite things in the world—going out to the movies to have fun." Herself/Various characters Episodes: "3.04", "3.09", "4.03" & "4.09"
Generation Y Guest Episode: "Series 1, Episode 3"
Sarah Gilbert Episode: "Dead Weight"
Big Money Hustla Episode: "Straight Up Juggahos"
Herself Episode: "Season 3, Episode 2"
Fancy Dress Contestant Episode: "Hoarder"
^ According to the Australian Electoral Roll, she was born Melanie Elizabeth Bownds. In later years she adopted "Rebel"–a childhood nickname–as her first name and changed her surname to Wilson. She retained her first two given names as middle names. ^ a b Miller, Megan (19 November 2011). "The Q&A with actor Rebel Wilson". Herald Sun. The Herald and Weekly Times. Retrieved 13 August 2013. ^ Fowler, Tara (20 May 2015). "Facts vs. Fibs: Rebel Wilson's Real Age is 35, Records Confirm". People. Time. Retrieved 21 May 2015. The Australian Electoral Roll lists her real name as Melanie Elizabeth Bownds, though she later changed her last name to Wilson, as has been previously reported. Last year, however, she told The Australian Women's Weekly that her real name was in fact Rebel, and that Melanie and Elizabeth were middle names she went by at school to avoid being teased. ^ "Nangunyah". dogzonline.com.au. Retrieved 21 May 2015. ^ a b "Rebel Wilson on Her Family". The Ellen DeGeneres Show. 11 November 2013. NBCUniversal. I've got two sisters, Liberty and Annachi and my brother Ryot...and what's her [mother's] name? Sue. ^ a b Field, Melissa (6 November 2011). "Winning Laughs and Losing Weight". The Daily Telegraph. News Limited. Retrieved 1 January 2013. ^ "Don't be mocking the moccasins". The Age. 17 June 2008. Retrieved 24 December 2013. ^ "Elle interview: Rebel Wilson". Elle Australia. 17 December 2013. Retrieved 24 December 2013. ^ Yamato, Jen (7 September 2012). "From Bridesmaids To Bachelorette: Why Rebel Wilson Is The Most Interesting Woman In Hollywood". Movieline.com. Retrieved 21 August 2014. ^ "Food Technology 2 unit". boardofstudies.nsw.ed. Retrieved 19 May 2015. ^ Rebel Wilson, Craig Ferguson (3 June 2011). The Late Late Show with Craig Ferguson. The Late Late Show with Craig Ferguson. Worldwide Pants Incorporated. ^ "Rebel Wilson's siblings argue family has tradition of 'unusual' names at trial". The Guardian. 1 June 2017. Retrieved 8 June 2018. ^ Shearer, Geoff (17 May 2011). "Rebel sets pace for siblings". The Courier-Mail. Queensland Newspapers. Retrieved 15 August 2011. ^ Mills, Nancy (11 October 2013). "Funny girl Rebel Wilson's 'Super Fun Night' inspiration". USA Today. Retrieved 21 August 2014. ^ a b Pearlman, Jonathan (15 June 2017). "Rebel Wilson wins defamation case after rapping, joking and crying during bizarre court performance". The Telegraph. Retrieved 17 June 2017. ^ "Rebel Wilson isn't a Disney: genealogist". yahoo.com. Retrieved 8 June 2018. ^ a b c Wilson, Vanessa (29 May 2002). "A push over on stage". The Sydney Morning Herald. Fairfax Media. Retrieved 15 August 2011. That lead to the 22-year-old's first play, The Westie Monologues, and her springboard to life as a playwright. And actor. And producer. And theatre company director. ^ "Leaders". www.arts.unsw.edu.au. Retrieved 20 May 2015. ^ a b c d e Blair, Iain (26 July 2011). "10 Comics to Watch – Rebel Wilson: Oz Star Gets Bridesmaids Boost". Variety. Reed Business Information. Archived from the original on 8 November 2012. Retrieved 15 August 2011. ^ a b c "Meet the cast – Rebel Wilson". Special Broadcasting Service. Retrieved 15 August 2011. ^ Pryor, Lisa (25 September 2002). "Rebel off to New York to hone comic craft". The Sydney Morning Herald. Fairfax Media. Retrieved 15 August 2011. ^ "Rebel Wilson Credits Nicole Kidman With Movie Career". Contactmusic.com. 30 June 2011. Retrieved 15 April 2013. ^ Bownds, Melanie Elizabeth. "The Westie Monologues". ipaustralia.com.au. Retrieved 19 May 2015. ^ Verity, William (25 November 2002). "Rebel with a cause to liberate westies by poking fun". The Sydney Morning Herald. Fairfax Media. Retrieved 15 August 2011. ^ Bragge, Lily (9 April 2005). "Comedy". The Age. Fairfax Media. Retrieved 15 August 2011. ^ Knox, David (2 October 2008). "Bogan Pride". TV Tonight. Retrieved 15 August 2011. ^ a b McManus, Bridget (25 September 2008). "Pride of place in bogan-ville". WAtoday. Fairfax Media. Retrieved 16 July 2011. ^ a b Kent, Melissa (1 March 2009). "About Town". The Age. Fairfax Media. Retrieved 15 August 2011. ^ Beaumont, Anita (19 May 2009). "Highlights". Newcastle Herald. Fairfax Media. Retrieved 15 August 2011. ^ "City Homicide: Dead Weight – S03E19". Throng. 4 November 2009. Retrieved 15 August 2011. ^ a b "Our Rebel Wilson is Matt Lucas' secret sister in next movie Bridesmaids". The Daily Telegraph. News Limited. 24 May 2010. Retrieved 15 August 2011. ^ a b Rafanelli, Stephanie (11 May 2015). "Rebel Wilson: 'Comedy has been a boys' club – until now'". The Guardian. Retrieved 15 June 2017. ^ a b Knox, David (21 October 2010). "When Rebel met Joan". TV Tonight. Retrieved 15 August 2011. ^ "Aussie Rebel without a pause in America". The Advertiser. News Limited. 26 May 2011. Retrieved 15 August 2011. ^ a b Murphy, Shaunna (11 July 2011). "'Bridesmaids' scene-stealer Rebel Wilson joins 'What To Expect When You're Expecting'". Entertainment Weekly. Time Warner. Retrieved 11 August 2011. ^ McNary, Dave (25 July 2011). "Wilson rides Colfer's 'Lightning'". Variety. Reed Business Information. Retrieved 11 August 2011. ^ a b Borys, Kit (19 August 2011). "'Bridesmaids' Co-Star Ramps Up Movie Roles (Exclusive)". The Hollywood Reporter. Prometheus Global Media. Retrieved 20 August 2011. ^ a b "San Diego Film Critics Nominate Top Films for 2012". San Diego Film Critics Society. 9 December 2012. Retrieved 10 December 2012. ^ a b "'Lincoln' leads the 18th Annual Critics' Choice Movie Awards nominations with a record 13 noms". Broadcast Film Critics Association. 11 December 2012. Archived from the original on 15 December 2012. Retrieved 11 December 2012. ^ a b c d Goodacre, Kate (15 April 2013). "MTV Movie Awards 2013 – The winners in full". Digital Spy. Hearst Magazines UK. Retrieved 15 April 2013. ^ a b "Teen Choice Awards 2013: Live Blog". The Wall Street Journal. News Corp. 11 August 2013. Retrieved 12 August 2013. ^ a b c Wightman, Catriona (22 May 2013). "Teen Choice Awards 2013: First wave nominees in full". Digital Spy. Hearst Magazines UK. Retrieved 22 May 2013. ^ a b Ausiello, Michael (26 January 2012). "Pilot Scoop: CBS Greenlights Super Fun Comedy Starring Bridesmaids Breakout Rebel Wilson". TVLine. Retrieved 28 January 2012. ^ Andreeva, Nellie (5 June 2012). "Rebel Wilson's CBS Comedy Pilot 'Super Fun Night' Close To New Order At ABC". Deadline.com. Retrieved 6 June 2012. ^ Bricker, Tierney (10 May 2013). "News/ABC Scoop: Rebel Wilson's Super Fun Night, Bridesmaids Star's Conan O'Brien-Produced Comedy Ordered to Series". E! Online. NBCUniversal. Retrieved 2 October 2013. ^ Kondolojy, Amanda. "'Suburgatory', 'Super Fun Night' Canceled by ABC". TV by the Numbers. Retrieved 9 May 2014. ^ Vary, Adam B. (27 March 2012). "Rebel Wilson to Join Michael Bay's True Crime Drama 'Pain and Gain'". Entertainment Weekly. Time Warner. Retrieved 28 March 2012. ^ "Cast – Rebel Wilson". Paramount Pictures. Retrieved 28 April 2013. ^ "Rebel Wilson named as host of MTV Movie Awards". Daily Mail. Associated Newspapers. 21 December 2012. Retrieved 21 December 2012. ^ "DISH Launches New Marketing Campaign Featuring Voice of Award-Winning Actress Rebel Wilson as Hopper the Kangaroo". DISH Network. 17 March 2014. Retrieved 19 June 2014. ^ "Anna Kendrick And Rebel Wilson To Return For 'Pitch Perfect 3'". Huffingtonpost. 15 June 2015. ^ Ford, Rebecca (14 April 2015). "'Kung Fu Panda 3' Release Date Moves Up Two Months". The Hollywood Reporter. Retrieved 26 January 2016. ^ Kit, Borys (4 September 2015). "Kate Hudson to Replace Rebel Wilson in 'Kung Fu Panda 3' (Exclusive)". The Hollywood Reporter. Retrieved 4 September 2015. ^ Ford, Rebecca; Kit, Borys (29 January 2015). "Dakota Johnson, Rebel Wilson, Dan Stevens Joining 'How to Be Single' (Exclusive)". The Hollywood Reporter. Retrieved 20 March 2015. ^ Smith, Nigel M (12 February 2016). "How To Be Single review – Rebel Wilson underused in diverting singleton comedy". The Guardian. Retrieved 13 February 2016. ^ Kroll, Justin. "Rebel Wilson Joins Sacha Baron Cohen in Sony's 'Grimsby' (Exclusive)". Variety. Retrieved 19 June 2014. ^ Horton, Helena. "Video: Rebel Wilson calls Oscars 'racist' in hilarious Bafta speech". The Daily Telegraph. Retrieved 18 March 2016. ^ Miller, Michael (2 December 2015). "Rebel Wilson Shares Pics of Her Absolutely Fabulous Time on the Set of Upcoming Movie". People. Retrieved 16 May 2016. ^ Martens, Todd (1 June 2016). "In a post-'Brave,' post-'Frozen' world, why the time is right for Hollywood Bowl's 'Little Mermaid'". latimes.com. Retrieved 1 June 2016. ^ "Rebel Wilson to make West End debut in Guys and Dolls". WhatsOnStage. Retrieved 5 August 2016. ^ a b "Rebel Wilson set for Dirty Rotten Scoundrels remake". BBC News. 5 August 2016. Retrieved 5 August 2016. ^ Houghton, Rianne (27 May 2018). "Rebel Wilson transforms into LeFou for Beauty and the Beast: Live in Concert". Digital Spy. Retrieved 15 June 2018. ^ Moniuszko, Sara M (23 May 2018). "Rebel Wilson covers 'Vogue Australia,' shuts down Photoshopping accusations on Twitter". USA Today. Retrieved 15 June 2018. ^ Hipes, Patrick (14 June 2017). "Betty Gilpin Joins Rebel Wilson In 'Isn't It Romantic' Movie At New Line". Deadline Hollywood. Retrieved 15 June 2017. ^ Billups, Andrea (9 May 2014). "Rebel Wilson to Star in Private Benjamin Remake". People. Retrieved 9 May 2014. ^ Fleming, Jr., Mike (17 April 2014). "Sony Buys Lauryn Kahn Spec 'I'm In Love With The DJ' For Gary Sanchez". Deadline Hollywood. Retrieved 20 March 2015. ^ Ford, Rebecca; Kit, Borys (19 January 2017). "Anne Hathaway Joining Rebel Wilson in 'Dirty Rotten Scoundrels' Remake". The Hollywood Reporter. Retrieved 15 June 2017. ^ Fleming Jr, Mike (22 May 2018). "Rebel Wilson Joins Taika Waititi's WWII Satire 'Jojo Rabbit' As Frightful Fraulein". Deadline Hollywood. Retrieved 15 June 2018. ^ Chitwood, Adam (June 26, 2018). "Rebel Wilson to Produce and Star in Comic Adaptation 'Crowded'". Collider. Retrieved June 26, 2018. ^ D'Alessandro, Anthony (19 November 2018). "Rebel Wilson To Play Jennyanydots In Universal-Working Title's 'Cats'". Deadline Hollywood. Retrieved 19 November 2018. ^ a b "Separating fact from fiction: Will the real Rebel Wilson please stand up?". Woman's Day. 18 May 2015. Archived from the original on 21 May 2015. Retrieved 11 July 2015. ^ Ltd, Guardian News & Media (13 May 2015). "Rebel Wilson: the beautiful bogan". ^ Fowler, Tara (20 May 2015). "Facts vs. Fibs: Rebel Wilson's Real Age Is 35, Records Confirm". People. Retrieved 11 July 2015. ^ Moyer, Justin Wm. (24 May 2015). "Why would Rebel Wilson lie about her age?". Chicago Tribune. Retrieved 11 July 2015. ^ Marcus, Stephanie (19 May 2015). "Rebel Wilson Responds To Claims She's Lying About Her Name And Age". The Huffington Post. Retrieved 11 July 2015. ^ "Rebel Wilson's Birth Date Revealed in ASIC Documents". The Sydney Morning Herald. 20 May 2015. Retrieved 11 July 2015. ^ Ham, Larissa (16 May 2016). "Rebel Wilson sues magazine publisher Bauer Media over stories about her age". The Sydney Morning Herald. Retrieved 16 May 2016. ^ "Rebel Wilson wins defamation trial against Bauer Media". The Guardian. 15 June 2017. Retrieved 17 June 2017. ^ Florance, Loretta; Younger, Emma (13 September 2017). "Rebel Wilson awarded $4.5m in damages over defamatory magazine articles". abc.net.au. Archived from the original on 13 September 2017. Retrieved 13 September 2017. ^ "Rebel Wilson awarded millions in Australia defamation case". latimes.com. 13 September 2017. Archived from the original on 13 September 2017. Retrieved 13 September 2017. ^ Carmody, Broede (9 October 2017). "Bauer Media to appeal against Rebel Wilson's $4.56 million defamation payout". The Sydney Morning Herald. Retrieved 9 October 2017. ^ "Court slashes Rebel Wilson payout by $3.9 million". The Sydney Morning Herald. 14 June 2018. Retrieved 14 June 2018. ^ Moran, Robert (15 June 2018). "'Come on Australia': Rebel Wilson slams Court of Appeal decision". Stuff.co.nz. Retrieved 15 June 2018. ^ Australian Associated Press (12 July 2018). "Rebel Wilson to take defamation appeal to Australia's high court". The Guardian. Retrieved 28 July 2018. ^ Banger, Marnie (16 November 2018). "Rebel Wilson's High Court bid rejected". The Sydney Morning Herald. Retrieved 16 November 2018. ^ "Rebel Wilson". Jenny Craig, Australia & New Zealand. Archived from the original on 20 July 2011. Retrieved 15 August 2011. ^ "Rebel Wilson seeks to slim down for career". Herald Sun. The Herald and Weekly Times. 19 July 2011. Retrieved 15 August 2011. ^ a b Wigney, James; Halliwell, Elle (22 January 2012). "Why Rebel Wilson will be staying big in Hollywood". The Daily Telegraph. News Limited. Retrieved 21 January 2012. ^ Christie, Joel (19 February 2013). "Rebel Wilson talks about split with Jenny Craig". The Daily Telegraph. News Limited. Retrieved 22 February 2013. ^ Wightman, Catriona (3 September 2012). "'Bridesmaids' Rebel Wilson, Matt Lucas live together, annoy neighbours". Digital Spy. Hearst Magazines UK. Retrieved 17 January 2013. ^ "Matt Lucas on Rebel Wilson moving out and being the boss". BBC. 29 September 2015. Retrieved 13 February 2016. ^ Derschowitz, Jessica (25 July 2015). "Rebel Wilson says America needs new gun laws after Lafayette theater shooting". Entertainment Weekly. Retrieved 27 July 2015. ^ "Rebel Wilson condemns US gun laws". Sky News. 26 July 2015. Retrieved 27 July 2015. ^ Noyes, Jenny (25 July 2015). "Rebel Wilson speaks out about gun control after 'Trainwreck' shooting in Louisiana". Daily Life. Retrieved 27 July 2015. ^ "2014 Young Hollywood Awards Nominees Include 'Pretty Little Liars,' 'Fault in Our Stars'". Variety. 26 July 2014. Retrieved 16 May 2016. ^ "People's Choice Awards 2017: Full List Of Nominees". People's Choice. 15 November 2016. Retrieved 16 November 2016. Wikimedia Commons has media related to Rebel Wilson. Judd Apatow is a producer, director and comedian. Apatows work has won awards including a Primetime Emmy Award, a Hollywood Comedy Award. His films have been nominated for Grammy Awards, PGA Awards, Golden Globe Awards, Judd Apatow was born in Flushing and raised in Syosset, New York. His mother, Tamara Tami, worked primarily managing record labels founded by her father and his father, Maury Apatow, was a real estate developer. His family was Jewish, but nonreligious, Apatow has an older brother, and a younger sister, Mia. His maternal grandmother, Molly, co-starred in his film This Is 40, when Apatow was twelve years old, his parents divorced. Robert went to live with his grandparents, and Mia went to live with her mother. As a child, Apatow lived mainly with his father, Apatows mother spent a summer working at a comedy club, which is where Judd was first exposed to live stand-up comedy. Apatow was obsessed with comedy as a child, his heroes were Steve Martin, Bill Cosby. Apatow began performing comedy at age seventeen, during his senior year of high school. In the September 1985 issue of Laugh Factory Magazine, he is listed as an Associate Editor, after graduating from high school in 1985, he moved to Los Angeles and enrolled in the screenwriting program at University of Southern California. While at USC, he organized and hosted a number of on-campus Comedy Night events, Apatow introduced the acts at these events with short standup routines of his own. He began volunteering at benefit concerts for HBOs Comic Relief, Apatow dropped out of college during his second year and moved into an apartment with comedian Adam Sandler, whom he met at the Improv. He competed in the Johnnie Walker Comedy Search in 1989 directed by Saturday Night Live short film producer Neal Marshad. Shortly thereafter, Apatow was introduced by manager Jimmy Miller to Garry Shandling which resulted in Apatow being hired as a writer for the Grammy Awards that year, which Shandling hosted. In 1992, Apatow appeared on HBOs 15th Annual Young Comedians Special and shortly went on to co-create. Australian Idol was an Australian singing competition, which began its first season in July 2003 and ended its run in November 2009. As part of the Idol franchise, Australian Idol originated from the reality program Pop Idol, Australian Idol was televised on Network Ten for all seven series, and was broadcast on the Southern Cross Austereo Radio Network between 2005 and 2007. Australian Idol sought to discover the most commercial young singer in Australia through a series of nationwide auditions, the outcomes of the stages of this competition were determined by public voting. The original judging panel featured Mark Holden, Marcia Hines and Ian Dicko Dickson, in 2005, this was changed as Dicko was replaced by Kyle Sandilands. In 2007, Dicko again returned to the program, when Mark Holden left at the end of the season, in 2009, Kyle Sandilands was replaced by Jay Dee Springbett. Network Ten made the decision to rest the program for 2010, the show has not returned since, this is mainly attributed to the success of other television shows on rival networks such as The X Factor and The Voice. Auditions were held in cities around Australia to find each seasons contestants. These auditions helped find the top 100, around 100 people made it to Sydney to compete in the Top 100. The first task in the Top 100 was the line where 10 people were chosen randomly to perform in front of the judges. }Each sang a short piece from a song of their choice. When all 10 were finished performing, the judges chose which contestants were eliminated, in the next phase, the Top 100 contestants were randomly put into groups of four and the groups chose a song from a short list of pop songs. They were given all night to rehearse so they would be able to perform it next morning and these group performances were generally criticised by the judges but with few exceptions. The next day each contestant performed a song of their choice a cappella in front of the judges and that night contestants were informed individually whether they made it to the semi-final round, the Top 24. 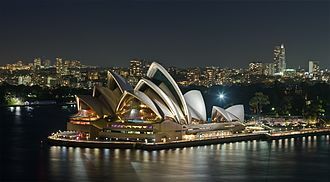 In Seasons 1,3,4,6 and 7, auditions were held in Sydney, Perth, Brisbane, in Season 2 in addition to the above cities, auditions were held in Tamworth and Hobart. Kenthurst is a suburb of Sydney, in the state of New South Wales, Australia 39 kilometres north-west of the Sydney central business district in the local government area of The Hills Shire. It is part of the Hills District region, Kenthurst is a semi-rural suburb with blocks of land on an average of 2 hectares. Features of the include a large park, a shopping village and park complex, numerous schools, a petrol station, a function centre, a rural fire service station. The original inhabitants of the Dural area were the Darug people, Kenthurst is derived from the English County of Kent and hurst meaning a woody hillock or clearing. The area was known as Little Dooral and Little Dural. In 1886 a public meeting was held to discuss a change of name, charles Gibb was the main agitator who declared that the settlement needed a more elegant title. Kent Forest was suggested as a name for the area where settlers from Kent County that had settled in the area. The meeting applied to the government ministry for permission to change the name, Kenthurst Post Office opened on 1 August 1887. The Kenthurst shopping complex features a post office, butcher and bottle shop, outside the village centre there are several preschools and a second real estate agent. There are numerous businesses in the area such as timber yards, wholesalers, earthmovers. The village green is situated across Nelson St from the shopping village and it features a public swimming pool, a basketball/netball court, barbecue facilities, a playground, park benches and a large grassed area. At the 2011 census, the suburb of Kenthurst recorded a population of 4,880 residents, of these, Age distribution The distribution of ages in Kenthurst was fairly similar to the country as a whole. Kenthurst residents median age was 41 years, compared to the median of 37. Children aged under 15 years made up 19. 7% of the population and people aged 65 years, 55% of people had both parents born in Australia. Finances The median weekly income was $2,109, compared to the national median of $1,234. Real estate values were high, the median mortgage repayments were $3,000 compared to the national median of $1,800. Tropfest is the worlds largest short film festival. It has known as the worlds first global film festival. Tropfest Australia usually takes place in December each year in Sydney and is broadcast live to various cities around Australia to an audience of approximately 150,000, Sydney Tropfest 2015 was cancelled less than a month before it was scheduled to run. In August 2016 it was announced that from February 2017 Sydneys Tropfest would be held in Parramatta in western Sydney, Tropfest differs from other cinema events by being a content generation platform, rather than an exhibition platform. Filmmakers are required to create new works for the festival which must include an item, known as the Tropfest Signature Item, the films must be less than 7 minutes and be world premieres at the Tropfest event. The festivals name is derived from the first years location—the Tropicana Caffe in Darlinghurst, created by Australian-born filmmaker John Polson, the first festival was held in 1993 and was originally called the Tropicana Short Film Festival. The support and involvement of film personalities from around the world has one of the trademarks of the festival. Selection of the winning Tropfest film takes place live on the night of the festival by a panel of high profile industry and celebrity judges, corporate supporters have included Intel, Qantas and MadFish Wines. Movie Extra used to be the sponsor of Tropfest Australia. The event is broadcast live on television by SBS Two and webcast to viewers around Australia, in August 2016 it was announced that, beginning in February 2017, the venue would be moved to Parramatta in western Sydney. Tropfest has expanded to locations around the world including Japan, Africa, Abu Dhabi, Berlin, Bangkok, the inaugural Tropfest Arabia, encompassing approximately 33 countries throughout the Middle East and North Africa, took place in Abu Dhabi in November 2011. Tropfest launched into the United States in June 2012, with an event in Las Vegas. Tropfest New Zealand launched in 2013 and Tropfest South East Asia at Penang, in 2006 there were over 700 entrants and every year 16 finalists are screened in public parks and cafes around Australia. Tara Anglican School for Girls is an independent Anglican day and boarding school for girls located in North Parramatta, a western suburb of Sydney, New South Wales, Australia. Established in 1897, Tara has an enrolment policy and currently caters for approximately 800 students from Pre- Kindergarten to Year 12. Taras 2010 HSC results ranked the school the number one school in Sydneys north-west. In the 2007 Higher School Certificate, the Sydney Morning Herald named Tara the best performing independent school in Sydney’s north-west. In 1898, Waugh moved St Ronans to an existing school, The Cedars, in Western Road, Parramatta, in partnership with its incumbent principal. From here, in keeping with Waughs Anglican vision, the partnership with Bond was dissolved, when Waughs father, Isaac Waugh, died in 1912, the school moved to the family home, Tara, in George Street, Parramatta. The name of this property had been years earlier by the Waugh family who, being of Irish background, named it after the Hill of Tara. When Joan Waughs mother died in 1926, the Tara home was sold and this was to be Taras home for the next twenty years and the final move for Joan Waugh. When she died in 1946, the school came under the protection of the Church of England in Australia, All Saints Church Hall was to be Taras next home. It is here that it is said that without the help of the Reverend Paddy Walker, and the participation of a group of parents. On 6 February 1952,142 junior school boys and girls moved from All Saints, in 1953, the school commenced classes for senior school pupils. At this site, Tara grew rapidly and thus it was determined that another larger premises was required, in Term 3 of 1958,103 senior school girls commenced at the schools current site at Masons Drive, with a new Headmistress, Helen Claridge. This site had previously been The Smith Family Hospital for Children with Rheumatic Fever, a new Science Block was added in 1959, a library in 1962, and the swimming pool in 1965. Construction of the Tara Junior School, and the first floor extension to the main block commenced in 1969, the girls from the Junior School moved to the Masons Drive buildings late in 1970. Nicole Mary Kidman, AC is an Australian actress and film producer. Kidmans breakthrough roles were in the 1989 feature film thriller Dead Calm, other successful films followed in the late 1990s. Her performance in the musical Moulin Rouge, earned her a second Golden Globe Award for Best Actress – Motion Picture Comedy or Musical and her first nomination for the Academy Award for Best Actress. Her performances in the drama Birth and the thriller The Paperboy earned her Golden Globe nominations for Best Actress and her performance in the 2010 drama Rabbit Hole, which she produced, earned Kidman further accolades, including a third nomination for the Academy Award for Best Actress. In 2012, she earned her first Primetime Emmy Award nomination for Outstanding Lead Actress in a Miniseries or a Movie for her role in the biopic Hemingway & Gellhorn. Kidmans performance in Lion earned her a fourth Academy Award nomination, Kidman has been a Goodwill Ambassador for UNICEF since 1994 and for UNIFEM since 2006. In 2006, Kidman was made a Companion in the Order of Australia, as a result of being born to Australian parents in Hawaii, Kidman has dual citizenship in Australia and the United States. Kidman founded and owns the production company Blossom Films, Kidman was born 20 June 1967 in Honolulu, while her Australian parents were temporarily in the United States on educational visas. Her father was Antony Kidman, a biochemist, clinical psychologist and author and her mother, Janelle Ann, is a nursing instructor who edited her husbands books and was a member of the Womens Electoral Lobby. Kidmans ancestry includes Irish and English heritage, being born in Hawaii, she was given the Hawaiian name Hōkūlani. The inspiration for the name came from a baby elephant born around the time at the Honolulu Zoo but the name is a commonly used Hawaiian name for girls. At the time of Kidmans birth, her father was a student at the University of Hawaiʻi at Mānoa. He became a fellow at the National Institute of Mental Health of the United States. The Amazing Race Australia is an Australian reality game show based on the American TV series, The Amazing Race. On 19 July 2010, Seven Network has purchased the rights to produce the Australian series. The first two series of the show was produced by activeTV in association with ABC Studios, the third series is to be produced in-house by the Seven Network. It is distributed by Disney Media Distribution Asia Pacific, the host for the show is New Zealand-born actor Grant Bowler. The grand prize for the team is A$250,000. The Amazing Race Australia is a reality television competition between teams of two in a race around the world, the first team to arrive at a Pit Stop is often awarded a prize while the last team is normally eliminated from the race. The final leg of each race is run by the last three remaining teams, and the first to arrive at the final destination wins the A$250,000 cash prize, each team is composed of two individuals who have some type of relationship to each other. A total of 64 participants have joined The Amazing Race Australia, Route Markers are yellow and red flags that mark the places where teams must go. Route markers were, coloured yellow and green in the leg of series 1 to avoid confusion with the flag of South Vietnam. Clues are found throughout the race in sealed envelopes, normally inside clue boxes and they give teams the information they need and tasks they need to do in order for them to progress through the race. Route Info, A general clue that may include a task to be completed by the team before they can receive their next clue, Detour, A choice between two tasks. Teams are free to choose either task or swap tasks if they find one too difficult. Roadblock, A task only one member can complete. Teams must choose which member will complete the task based on a clue about the task before fully revealing the details of the task. Fast Forward, A task that one team may complete, allowing that team to skip all remaining tasks. Teams may only claim one Fast Forward during the entire race, U-Turn, It is located after a Detour where a team can force another trailing team to return and complete the other option of the Detour they did not select. The Second City is an improvisational comedy enterprise, best known as the first ever on-going improvisational theater troupe based in Chicago. It has programs that run out of Toronto and Los Angeles, the Second City Theatre opened on December 16,1959 and has since become one of the most influential and prolific comedy theatres in the world. The Second City has produced programs in both the United States and Canada including SCTV, Second City Presents, and Next Comedy Legend. The Second City chose its name from the title of an article about Chicago by A. J. Liebling that appeared in The New Yorker in 1952. In 1959, the first Second City revue show premiered at 1842 North Wells Street, the cabaret theater, comedy style of the Second City tended towards satire and commentary of current social norms and political figures and events. In 1961, the theater sent a cast to Broadway with the revue, From the Second City, directed by Sills. Eventually, the theater expanded to include three touring companies and a resident company, and now fosters a company devoted to outreach. The style of comedy has changed with time, but the format has remained constant, a number of well-known performers began careers as part of the historic troupe and moved to television and film. In 1973, Second City opened a theater in Toronto, theater became the second resident stage in Old Town, Chicago location, handling overflow crowds and increasing the number of resident company members. Co-founder Bernard Sahlins owned the company until 1985, before selling it to Andrew Alexander. Along with its theaters, training centers, and television shows, Second City produces improv, Second City Television, or SCTV, was a Canadian television sketch comedy show offshoot from the Toronto troupe of the Second City and ran from 1976 to 1984. The basic premise of SCTV was modeled on a station in the fictional city of Melonville. Edith Prickley, Catherine OHaras washed-up, narcissist former leading-lady Lola Heatherton, martin Short originated his dorky Ed Grimley character here, which he brought to Saturday Night Live. Bridesmaids is a 2011 American comedy film directed by Paul Feig, written by Annie Mumolo and Kristen Wiig, and produced by Judd Apatow, Barry Mendel and Clayton Townsend. The plot centers on Annie, who suffers a series of misfortunes after being asked to serve as maid of honor for her best friend, actresses Annie Mumolo and Kristen Wiig wrote the screenplay following Wiigs casting in Apatows 2007 comedy film Knocked Up. Budgeted at $32.5 million, filming took place in Los Angeles, upon its opening release in the United States and Canada on May 13,2011, Bridesmaids was both critically and commercially successful. The film grossed $26 million in its weekend, eventually grossing over $288 million worldwide. It received a 90% overall approval rating from Rotten Tomatoes and served as a touchstone for discussion about women in comedy, the film was nominated for a Golden Globe Award for Best Motion Picture – Musical or Comedy. On January 24,2012, the film was nominated for both the Academy Award for Best Supporting Actress for Melissa McCarthy and Best Original Screenplay for Wiig and this made it the first Apatow-produced film to be nominated for an Academy Award. Annie Walker is a woman in her late 30s. Her businesss failure was so painful that she has given up baking entirely and she has a no-strings-attached sexual relationship with the self-absorbed Ted but hopes for something more from him. Her best friend, Lillian, is virtually her only source of happiness, Lillian becomes engaged and asks Annie to be her Maid of Honor. At the engagement party, Annie meets Lillians bridesmaids, cynical cousin Rita, idealistic friend Becca, the grooms raunchy sister Megan, and Helen, the rich and beautiful wife of the grooms boss. Helen and Annie, who are jealous of each others friendship with Lillian, take an instant dislike to each other, Annie takes Lillian and the bridesmaids to a Brazilian steak restaurant for lunch before going to a chic bridal shop. Helen uses her influence to gain entry to the shop because Annie didnt make a reservation, while trying on gowns, the whole party— with the exception of Helen, who chose not to eat before the fitting —becomes sick from food poisoning. Cameron Diaz, Chace Crawford, Elizabeth Banks, Brooklyn Decker, Chris Rock, and Rodrigo Santoro at the film's premiere. 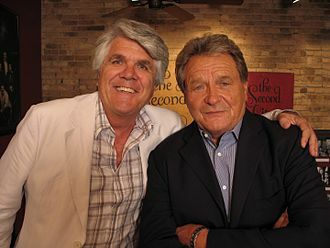 Director Kirk Jones and producer Mike Medavoy at the film's premiere. The first series of The Amazing Race Australia started in Melbourne at the Melbourne Cricket Ground with a Roadblock sending racers up and down one of the stadium's six light towers. The islet of Gili Trawangan was the first pit stop in the inaugural series of The Amazing Race Australia. This Leg's Pit Stop was located at the citadel of the former Vietnamese capital in Huế. 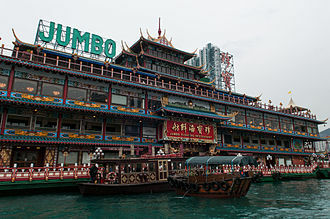 While in Hong Kong, teams visited the Jumbo Floating Restaurant, where they bit into fortune cookies for clue. Rotary monument in Feira de Santana, Brazil. A plaque showing where the local Rotary Club meets, Durham, England. Rotary International Headquarters in Evanston, Illinois, United States. Former OTC dish at Ceduna, South Australia. Telstra phone booths showing the current colour scheme, replacing the former orange logo with shades of green and blue. The network's centralised digital playout facility, Broadcast Centre Melbourne, located in the city's Docklands precinct. Seven News Sydney and Sunrise reporter Jessica Ridley reporting outside the Australian Broadcasting Corporation's Ultimo studios in Sydney, New South Wales. Telecast to 6.5 million Australians via the Seven Network – The Sydney 2000 Summer Olympics. The Melbourne Town Hall serves as a hub for the MICF, as well as a venue for many performances.